Food is a lot like us. The processes by which a complex flavor is made can be somewhat intense. Extreme heat, violent dismemberment, tedious waits under controlled conditions, careful pruning, exposure to disagreeable counterparts. And every time the simple, base ingredient is put through one of these processes, it is changed (not always for the better, but that is the hope). In many ways the beginning product is the same, and yet it is completely different. Flavors deepen. Colors change. 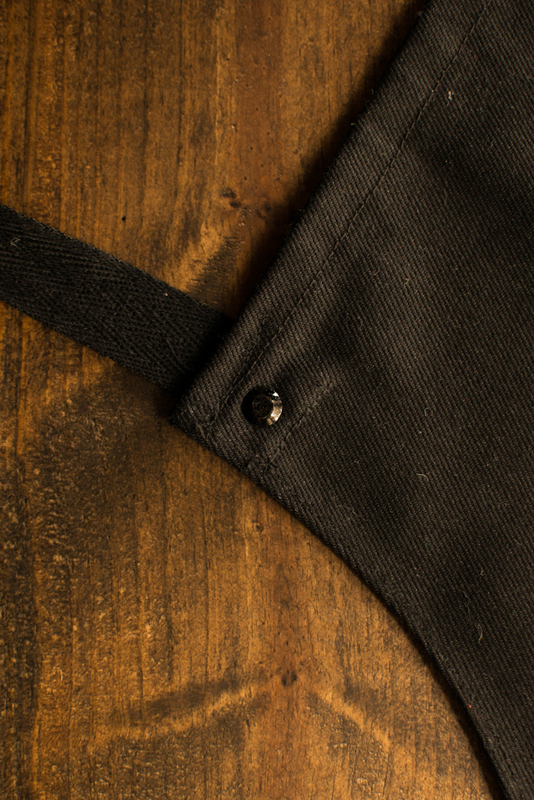 Textures develop. If the flavor is simple it is because it has not experienced enough. Sometimes flavors are overpowering and need to be made more subtle so they can work well with the other elements on the plate; other flavors are so delicate that they must be drawn out so they can be noticed at all. Some elements need to be broken down before they are at all usable, others to be built up. All are needed, all have their place. Not that anything was “wrong” with these things before, they simply cannot be used in the way needed while in their raw state. Some are too bitter, some are too sweet; some will even make you sick. They must go through a change. Before the dish takes form and the ingredients are being prepared it’s easy to look around and think, “How the hell is this going to come together?” The fires blaze, the ovens rage, remnants of discarded waste pile up, nothing looks the way it was intended. But if you make it through this stage you begin to see the evidence of what you hoped for in the beginning. The aroma changes, you can smell it. The liquid thickens, you can see it. It doesn’t feel so much like chaos because the end is in sight. As the elements come together, the anchor, the main, the side, the sauce, the garnish, the final touch, you almost forget what they started as. Almost. But the sweat on your brow, the burns on your hands, the smell of smoke on your skin stand as reminders of what it took to get there. And I can’t help but think that food is a lot like us. This is one of the things I like about Resident Taqueria, that they know who they are as a restaurant. In a time where the words “authentic” and “traditional” are often put up as neon signs out front to attract taco hunters, only to lead to disappointment, it's nice knowing what to expect before going in. Located in the Lake Highlands neighborhood of Dallas, Resident is a great taqueria, but it's not a hole in the wall. The place is stylish, the menu touts a range of vegetarian tacos, and there is nothing wrong with that. 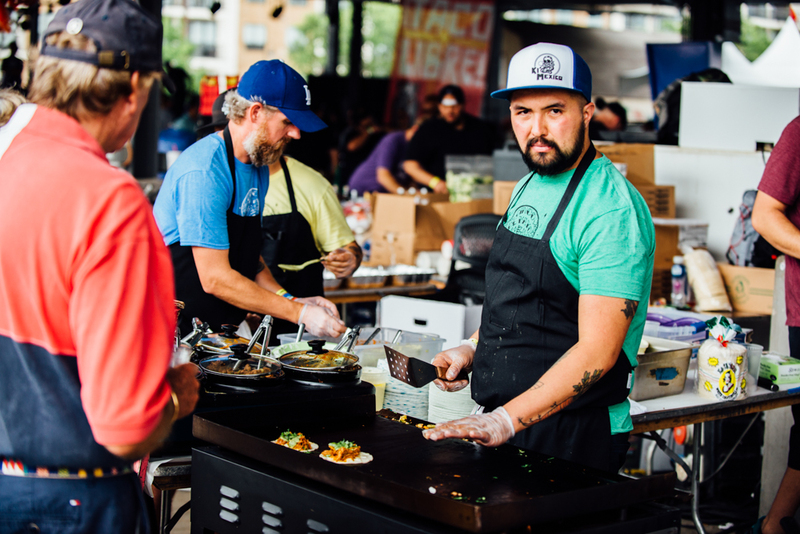 While the flavor profiles might not be out of the box from a chef’s perspective, the tacos are certainly different from what you will find elsewhere. Pecan smoked chicken with pickled sofrito, crushed peanuts and salsa macha; glazed pork belly with cucumber, pickled slaw and agave glaze; braised beef short rib with onion, tomato confit and chipotle creama; Argentine red shrimp with blistered cherry tomatoes, and emulsified chimichurri sause to name a few. And let’s not forget the veggies; caramelized cauliflower with crispy kale, pepitas, and lemon epazote aioli; slow cooked mushroom with poblano chiles and almond salsa, and their non-traditional guacamole with garlic infused oil and English peas (don’t get mad about it until you try it). Then there's the handmade flour tortillas, not the thick chalky ones we've all had with fajitas, but thin, almost transparent, straight from the press tortillas. Easily the best flour tortillas I've had since Sonoratown in Los Angeles. Pork belly taco with cabbage, pickled carrots and red onions, micro greens, and agave glaze. Savoie’s interest in culinary experiments and flavor combinations is no surprise. Originally from New York, he got his degree in Culinary Arts from Baltimore International College and began to make his way around the country through the fine dining scene. Savoie has worked in kitchens from New Orleans to Napa to New York before eventually making his way to Dallas in 2003. “In 2003 the food scene in Dallas as awful,” Savoie says. “Just Tex Mex, just chain restaurants. I didn’t want to work for a place that had no passion." So he took a break and sold wine for a few years before becoming a Culinary Instructor at the Art Institute of Dallas, a position he held for 9 years. “I was trained in French cuisine, Latin cuisine was completely different, all I knew was cilantro and lime,” Savoie laughs. He started researching Latin cuisine in preparation for a new class he would be teaching and quickly fell in love with it. “When you bite into something, your palate wants to be hit in different ways, and Mexican cuisine does that. I could eat and eat and eat and not get tired of it.” Savoie has since studied the Mexican culinary tradition extensively, and while few items on Resident's menu are traditional, he very familiar with it, even winning best traditional taco at Tacolandia Dallas last year (along with best vegetarian taco). As a hyper local place, the residents have a lot of say of what goes on the menu. The main menu board hasn’t changed in three years, if something goes missing the neighborhood asks for it until they get it back. “We have specials so I won’t get bored,” Savoie explains. “I like to serve things that I can teach people about.” Like the rotating selection of tequila and mezcal, for example. 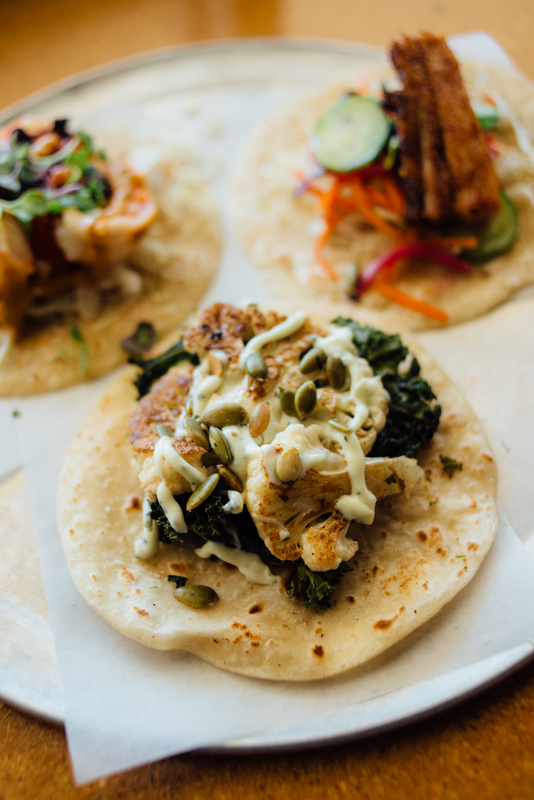 He's taught a lot of his meat loving customers to come back for the veggie tacos too; the cauliflower and kale taco rutinely outsells all the other tacos. Caramelized cauliflower with oven roasted kale, epazote aioli and pepitas. 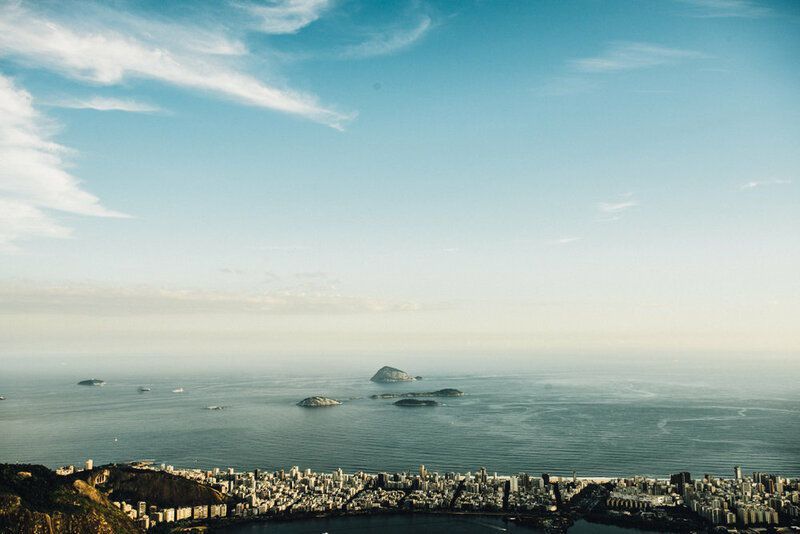 For the past two years I've had the opportunity to visit local churches and serve as a missionary and translator in the cities of Rio de Janeiro and Macaé, Brazil. There is a lot I could tell you about these trips, the many things I saw and felt and learned. But here is the bottom line and overarching theme of everything I experienced, the message that the Brazilian people repeated to me time and time again: there is a God who changes hearts, and when he does truly amazing things happen. This is Jefferson. He founded Casa Do Abraço (House of Hugs) in 2010. A small group of young people without any money who were concerned about the future of the kids living in their community. A few years later, what started as a volunteer project became a full time endeavor and he and his team began to take care of the kids in the community after school every day, providing food, tutoring and a safe haven. 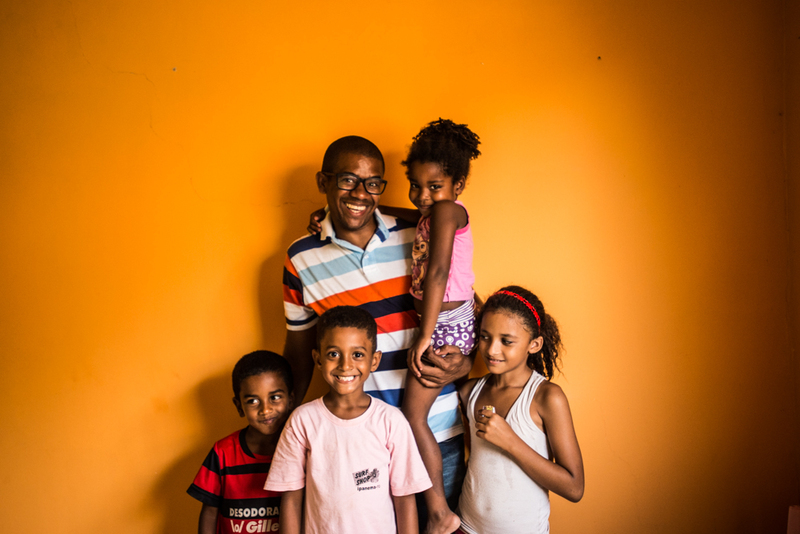 But above all else, his goal was to teach these children that they are loved and valued, a message often unheard in one of the poorer and more violent communities in the city of Macaé, Rio de Janeiro State. When Jefferson enters the gate the kids' moods instantly change. They behave better, they all flock around him, they tell him if other kids were mean to them, they listen (begrudgingly, but listening all the same) when he corrects them. They know that he loves them, and they love him back. It's kind of surreal hearing some of the kids' stories. Some of them have been beaten. Some of them have seen their parents murdered. They see people doing crack and heroine. Guns, strangers, drugs, that's just normal life here. It's a reality most of us are far away from. We tend to hone in on the harshness of the the day to day, the roughness of the neighborhood, the struggle and the suffering, because it can be shocking to us. But that's just life for them, it's not their focus. Their focus is hope. Last year I had a chance to talk more with Tais, the only other full time volunteer at the house. Tais is an incredible woman, she studied graphic design in school and then entered into a seminary program, visiting Casa do Abraço while studying. It was only supposed to be a short visit "but when I saw what God is doing here I felt called to stay and, you know, the rest is history." Tais is sweet and has a huge heart, but she's stern and has a look that can stop you in your tracks. As you can imagine, it gets a little crazy in there with 30 kids running around, all different ages, all different personalities, but she manages to keep them in line. She taught them a sign and will shout "BA ba ba ba bum" to which all the kids respond in unison "BA BAM!" followed by silence. "Só eu falando agora," she will say authoritatively ("I'm the only one talking now.") And they listen. And they love her. When I asked the kids to write things that made them happy on paper hearts, many of them wrote her name. Sometimes they bring in volunteer doctors or dentists to the house to give the kids check ups. They bring in music and art teachers to do activities, volunteer barbers to cut their hair. Other groups in the city come by, other churches in different parts of Brazil come too. And it's not about trying to get out of the community. It's not about being successful (whatever that means) so you can leave, that may never be an option. It's about doing good where you are now. And that's something I think we all need to learn. So you might be asking yourself, what business do a bunch of Americans have going to these communities in Brazil? I asked myself that question before going the first time. I'm usually not a supporter of short term trips like this, in most cases they do more harm then good. But I'll tell you why I keep going back. The work we do is 100% complementary to work that continues year round. We're not going to start something and leave it for someone else to finish, we come as a support team to existing work by Brazilians who live in the area. We help them do what they always do, give them a bit of a break, and help spread the word to what they are doing to the rest of their community. There is a give and take, but we go to learn from them more than to teach them anything. I always learn something, and I always come back changed. And I'll leave with this, sometimes we have this weird concept that beautiful things only come out of beautiful places, that happy people only come out of happy places, that those who start with little will only have a small impact, and we forget that the savior of the world was born to a poor family living in an unimportant city with a bad reputation. Do what you can with what you can. It's enough. The following are parts of two conversations I had not long ago. While these are the two most recent instances, I’ve had a version of this conversation with more people than I can remember. I was out getting tacos at one of the trucks I frequent and an older gentleman walked up and saw me sitting at the only folding plastic table. He hesitated, then sat down in the other chair and greeted me quietly in accented English. I returned the greeting in Spanish, which surprised him (story of my life), and we continued speaking in Spanish. “Are you here to eat tacos?” he asked me. We chatted a bit, I told him a little about my story and why I speak Spanish, he told me a little about himself, about his kids and his ex-wife, and then he told me this: “I’ve been here for 20 years, and you know what’s bad? They (Americans) don’t want us here anymore. Honestly, I wasn’t even going to sit next to you because (Americans) don’t like us.” Let that sink in. A man who has lived 20 years of his life, over a decade of that time in Fort Worth, and he hesitates to sit down next to me because of how people treat him on a regular bases. So let me submit something to you. If we are treating our neighbors in such a way that they don’t even want to sit next to us, that they are shocked that we would even speak to them, then something has gone terribly wrong with our politics, our religion, our lifestyle, out morals, our codes, creeds, or whatever else we may hold to. I arrived a little before taquería El Come Taco opened. 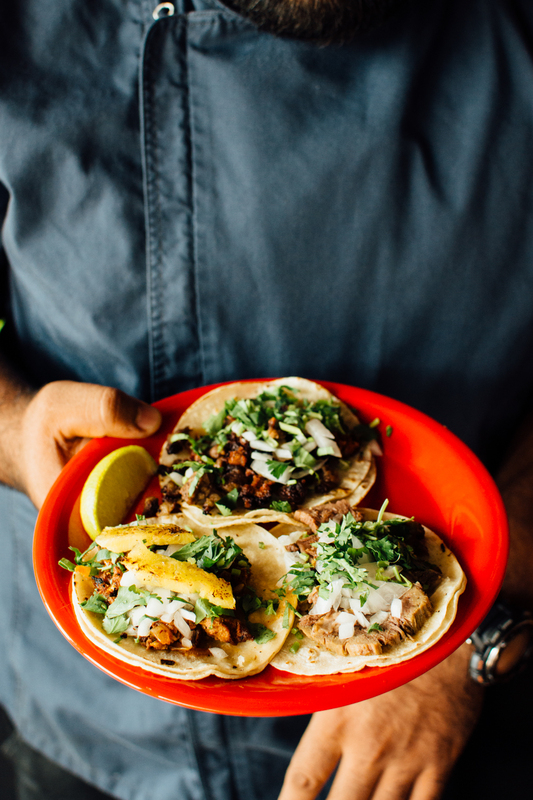 Luis Villalva, chef and owner of El Come Taco in Dallas welcomed me into the hallway-shaped shop with bright pink walls, a color-changing backlit service counter, mezcal bar, open kitchen, and, most importantly, some seriously good tacos. The Mexico City style taquería is coming up on its four-year birthday off Fitzhugh Ave in Dallas, but Luis’s taco making career started as a ten-year-old kid growing up in Mexico City. His family hit some hard times and he started helping out at one of the family's two taco stands in the metroplex, learning the taco trade on the streets of la CDMX. Luis told me that respects what other chefs are doing with tacos, but rightly says that sometimes there are too many flavors in the tortilla and you end up kind of lost. “You don’t have to use five hundred ingredients to make a taco," he said. "It can be simple." And he’s really mastered the technique of using few ingredients and getting every ounce of flavor possible out of them. A great example of this is one of their side items, the cebollitas or grilled green onions. They couldn’t be simpler, but my god, they are delicious. I could eat two plates of those things without thinking twice about it. That said, I’m willing to bet that some things that might be simple for Luis who grew up preparing them are actually pretty complex, like all the scratch made salsas. 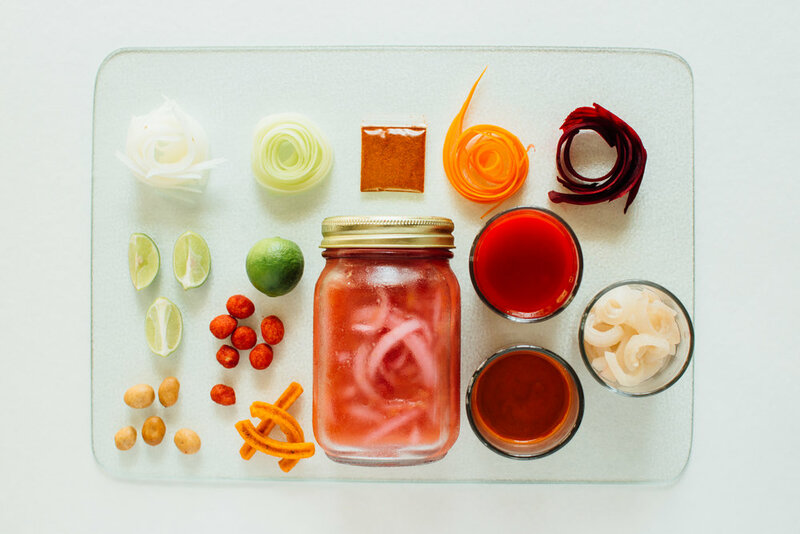 There is a lot of time and technique that goes into making those salsas, and you can really taste it in the final product. Roasted Tomatillo Salsa, Pulla y Arbol, Tomatillo y Aguacate, Morita. I asked Luis what most inspired him about Mexico City and how he translates that to El Come. "It's the freshness of Mexico City," he said. "You know, you've been there, everything in the markets is super fresh, you can walk down the street and get what you need. And we eat grasshoppers and cactus, and people don't know that these things are edible. You still have to teach people how to eat Mexican food, but in Dallas they are learning that it isn't about cheese and chips and salsa." If you know me, you know I have no qualms about eating standing up on the street corner at night, stray dogs at my feet, or sitting on a plastic bucket on the side of the road if it means good street food. Not everyone is about that, and I get it. That's one of the cool things about El Come Taco, you get the flavors of the street but with tables and chairs in a comfortable setting. It's an entryway, a bridge for a lot of people, to a beautiful (and delicious) culinary tradition, and that's a huge acomplishment. As delicious as the food is and how smoothly everything runs at El Come I was surprised to hear that this is Luis's first time running a kitchen. "I'm not a chef, man," he told me. "I'm just a taco guy." Taco guy, chef, as far as I'm concerned he can call himself whatever he'd like, his tacos are some of the best in town and that's a fact. We talked a lot about Luis's path to El Come, some of the struggles and challenges he's faced and still faces, so as a final question I asked him what the best part of all of this was; what makes it all worth it? “This place has made my parent’s dream come true," he said. "And somehow I became passionate about the food too.” And that passion, that love for the craft, the food, and the family, that shows. And that's what makes this place truly great. That and the tacos. The tacos are phenomenal. We've been doing Doritos all wrong. If you're like me, for most of your life you've just eaten them out of the bag. Just like that. What else are you supposed to do with them? As a kid I would put the Cool Ranch ones in my PB&Js (I know), and the most I had ever seen someone do with a Dorito in other countries was dip it in salsa. Granted, they do release crazy limited edition flavors (especially in Asia) including gems such as Clam Chowder, Mountain Dew, 3rd Degree Burn Scorchin' Habanero, Fish Taco, Shrimp Mayo, Tomato & Onion Salad, and Crispy Salmon, but we stop there. Mexicans, however, don't stop there. They created something called Dorilocos or "Crazy Doritos". My first Dorilocos encounter was something like confusion with a side of curiosity and amazement. I was waiting for a combi in Nezahualcóytl, Mexico City and I saw someone eating a bag of Doritos out of the side of the bag with a fork. Later on I saw the carts and tents in the tianguis* dishing these out like nobody's business. Hot sauces, jicama, beats, nuts, carrots, fruit, a seemingly endless variety of stuff all went in the bag, only to come out again at the command of a long plastic fork. So what exactly are these and how did all this get started? To answer that we have to go way back in time to the 1960's with the birth of the Dorito. Doritos were invented in Disneyland, of all places, in 1964 as part of their "Mexican" (I use the word very loosely here) restaurant called Casa de Fritos (Fritos referring to Frito-Lay) as part of their Frontierland park. Journalist and author Gustavo Arellano of the OC Weekly explains that one of Disneyland's suppliers, Alex Foods, started making the chips as a way to use up tortillas that were going to be tossed out. They were plain tortilla chips, or totopos, and it wasn't until 1972 that the famous Nacho Cheese flavor was introduced. They also had a vague flavor called "taco" before the Nacho Cheese came out. To be honest, Frontierland sounds like my worse nightmare. Just looking at the listed menu items on old posters makes me cringe, and the photos I've seen of the place embody every Mexican stereotype imaginable. I wasn't able to find the exact date when Doritos were introduced in Mexico, I even spoke to a Frito-Lay corporate rep about it who was very polite and wished me luck with my blog but said he did not have the information I was searching for. I imagine it wasn't long before street venders started dressing up Doritos with Mexican flare. After all, the same concept had already been applied to other chips, totopos, and chicarrón in a simpler fashion with salsa and lime. Truth be told, the first time I saw Dorilocos in all their glory my first though was: "oh my god." Like a lot of things in Mexico, it seemed like too much. Too many flavors, too many textures, too many colors. How could this possibly be good? But Mexico City has a way of pulling off sensory overload in a really sophisticated way, and Dorilocos are no exception. Incógnita Doritos, salsa guajillo, candied jalapeños, curry, cilantro. Yes, I just said that gas station chips tossed with what seems like the entire contents of the pantry are sophisticated. Let me explain why. The word sophisticated comes from the Medieval Latin word sophisticatus which means 'tampered with', and later in Middle English it referred to something that had been 'mixed with a foreign substance' or 'adulterated'. In modern English it has come to now mean complex, shaped by experience, worldly. Dorilocos take a foreign substance (Doritos), tamper with and mix them with local elements and have, over time, been made more and more complex through the experience and influence of one of the biggest cities and cultural centers in the world. Dorilocos, by definition, are sophisticated. 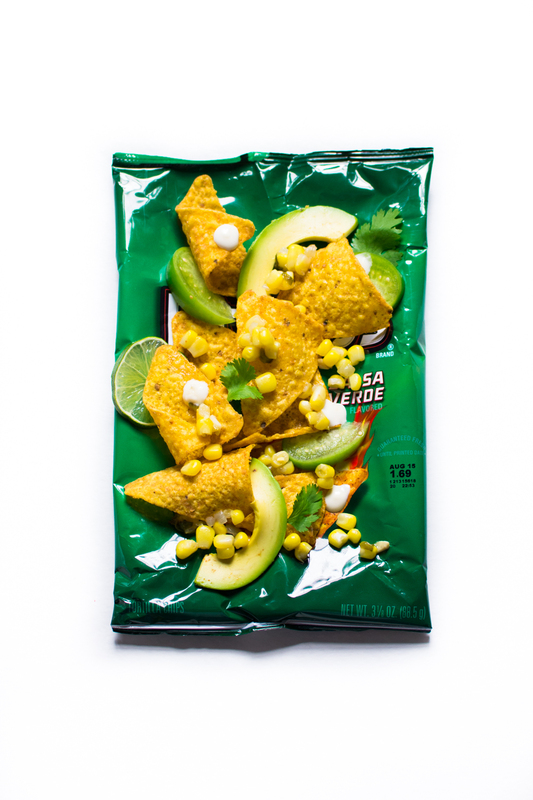 Salsa Verde Doritos, Avocado slices, Mexico City esquites, cilantro, lime mayo, raw tomatillo and lime. Dorilocos really don't need a recipe, they are really a throw and go kind of snack, but I put together something for you guys if you want to try these at home. It's kind of hard to define what a 'classic' Dorilocos combination would be, but of all the different varieties I've seen there are common elements throughout and that is what I've put on the classic here. I've also put together a new mix for you guys. That's the fun of Dorilocos, there is no wrong way to do it. Have fun, experiment, use what you have, try new flavors and combinations, and don't be afraid to get a little crazy. 1/4 bag Japanese Peanuts or "Coated Peanuts"
1) Using a pair of scissors, cut open the long side of the Doritos bag. 2) Toss in your dry ingredients and shake the bag around gently to mix. 3) Add your salsas and gently shake the bag. 4) Squeeze lime juice over everything. 5) Serve with a fork and enjoy! 4) Squeeze lime juice over everything and sprinkle with Tajín. * Tianguis are magical open air markets that take over entire blocks of the city on certain days of the week and have everything from produce and meat to tacos and other prepared foods. Gina and Brian Milligan's Coffee Folk provides coffee for the people. Their coffee cart officially opened this March and has been gaining traction with Fort Worth locals ever since. They rebuilt a 1974 Coachman Travel Trailer from the axels up, keeping some of the classic lines of the original but expanding the roof and giving it some stylish upgrades. With a pull lever Italian made Ranchillio espresso machine, pour over station, an arsenal of homemade syrups and flavors, baked goods from local bakeries, and breakfast tacos from Fort Worth's own Taco Heads, I could live inside this trailer forever. You can find the sleek black coffee cart parked in the Meadowbrook neighborhood of Fort Worth, and it stands out as the only place of its kind. Brian and Gina have done an amazing job of turning their little patch of the neighborhood into a hyper local gathering place. "It's nice being 5 minutes away from work," Brian told me as I sipped coffee inside the trailer. "And it's allowed us to meet a lot of people in our neighborhood. ""It's made Fort Worth a little smaller," Gina added. "One of the best parts about this is being able to greet our neighbors in the morning." I sat in the trailer and watched as they greeted many of their customers by name, having their drinks started before they even made it to the window. They talked about work, their dogs, things going on in the neighborhood. I have to admit when I first went to Coffee Folk it was because I liked the set up, but I wasn't expecting much from the coffee. Needless to say I was wrong. It's some of the best coffee you can get in the city. The coffee duo learned a lot about coffee at home, but received some training from Andrea Spella of Spella Cafe in Portland, Oregon. Andrea is something of an OG of the coffee world, and has a really classic Italian style to his shop and coffee. Spella Cafe also started out as a coffee cart, and the Coffee Folk crew fell in love with his coffee while visiting different roasters. Whenever I go to a new coffee spot I usually order an espresso or cortado to see what their coffee really tastes like. And more often then not, it's nothing to write home about. But when I tasted the cortado at Coffee Folk, sitting outside at the small cafe table, listening to the goings-on of Meadowbrook, savoring the smooth, enchanting espresso, it took me back to my days in Europe, to the little shops and bars on the street, people standing and drinking coffee, no one on laptops working with their earbuds in, just visiting with one another and getting their daily coffee. And I think that's one of the things that makes Coffee Folk special, they've taken the spirit of old world coffee culture, of the neighborhood coffee bar, and added some strong Texas flow. Their attention to quality and love for their community make this a truly unique spot. But don't take my word for it, grab a friend and try it out for yourself. John Hernandez, tamalero and owner of Casa Masa, and I first met because he was making fun of me for taking pictures of my lunch. "Your food's going to get cold if you keep taking pictures of it," he said, looking at me with a 'just eat it already' look. "I know, I'm the worst," I said, all the while arranging things on the table for the photo. Gram or it didn't happen. We got to talking and on my way out John mentioned that he does tamale pop ups. *record scratch* You make tamales? Why didn't you tell me this earlier? Jokes aside, John is a truly great tamalero. 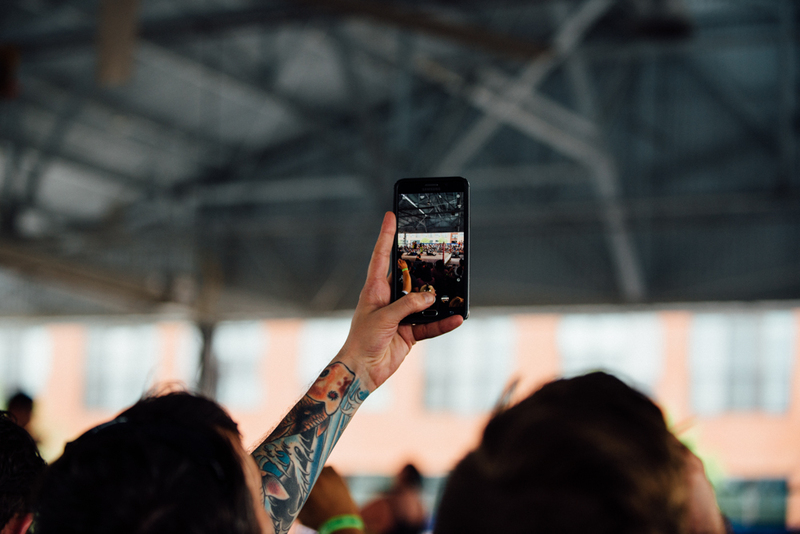 This summer I've been visiting the Casa Masa pop-ups in Dallas, often appearing at the Double Wide's monthly flea market by the Dallas Farmers' Market, breweries, gallery showings, and other events. When I visited Casa Masa at the Double Wide he was set up inside a classic Airstream mobile trailer slinging six different kinds of tamales. Green chile pork; cilantro chicken with roasted tomatoes; black beans, jack cheese and jalapeños; zucchini, carrots, squash, kale, roasted corn and red peppers; sweat potato, kale, cumin and shallots; ancho chile brisket with queso and pico de gallo. I'd never seen tamales like this before. The choices were overwhelming, so I did what any reasonable person would do and ordered one of everything. He pulled the warm, corn husk wrapped tamales from their steamy beds, and in seconds I was enjoying some of the best tamales I've ever had. I sat down inside the airstream and tried the first one. Simple but flavorful queso oaxaca, the slightly sweet, mildly smoky roasted chiles, the perfectly seasoned masa, smooth and luxurious. "Damn," I thought. "I expected them to be good, but not this good." I tried the pork. The texture was phenomenal. It wasn't stringy or dry, it was juicy but not soggy. For something made out of masa and pork, it felt light. Then I tried the veggie options. Sweet potato and cumin with kale was surprisingly one of my favorites. I'm so used to sweet potato being, well, sweet. Making it savory with cumin and other spices gave it a whole new flavor. And I know everyone is eating kale these days because it's good for you, but let's be honest, kale doesn't taste good. It's tough and the flavor is strong in all the wrong ways. John makes kale taste good. I don't know what kind of South Texas magic he puts on these tamales, but I'm not complaining. John comes from a family of tamaerlos and restauranteurs, learning to make tamales with his mother and grandmother. Making tamales is a passion for John, and his love for the husk-wrapped bundles of masa really comes through in every bite. But more than that, it's a way for John to carry on the family tradition and continue to honor and cherish what his mom and grandma taught him while at the same time making the tamales his own. As I snapped a few photos of the last two tamales before devouring them and heading out, an older gentleman outside the airstream called out to me, "You're supposed to eat it, not take pictures of it!" I shrugged my shoulders, "it's not the first time someone's told me that." He started laughing. "Now listen, the first time I saw people doing that I said 'that's so stupid', and now look at me!" he held up his phone for me to see, "Every damn meal, I'm taking a picture of it!" He smiled, dismissed me with a wave and was gone. Keep up with the Casa Masa pop ups on Instagram @casamasatx and Facebook Casa Masa. Word to the wise, get there early as the tamales routinely sell out before closing time. This week I had the pleasure of once again working with Gerald Flores and the Taco Gear team to bring you guys some summer vibes! Gerald and his company are awesome, I always enjoy doing colabs with him. Check out his blog Taco Talk for the Grilled Lime Margarita recipe, and their website for all things taco. 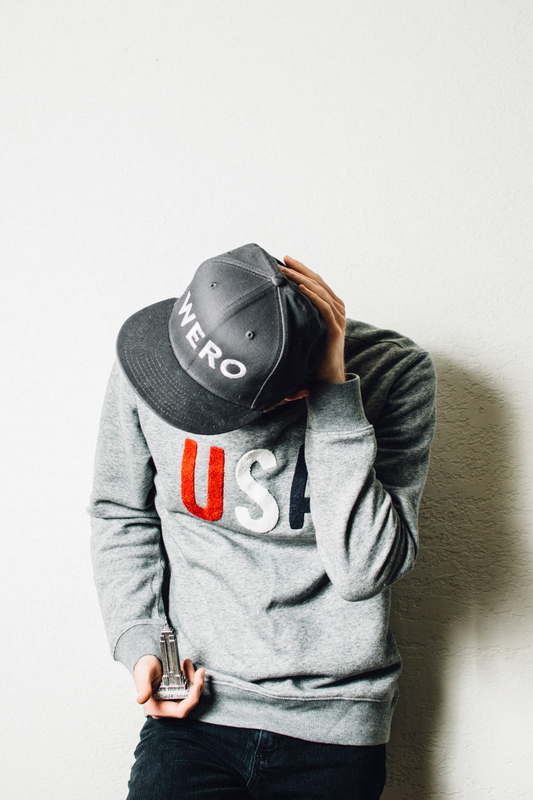 I'm happy to announce Wero Brand! I've got some t-shirts for sale on the new Store section of the website. Check it out! Right now the Make Tacos Not War and Nixtamal & Chill shirts are available, but I'll be rolling out new designs fairly regularly so keep an eye out on the @werobrand Instagram. This week I got to do a guest post with my friends from Pyknic and give them a tour of a few taquerias here in Fort Worth. 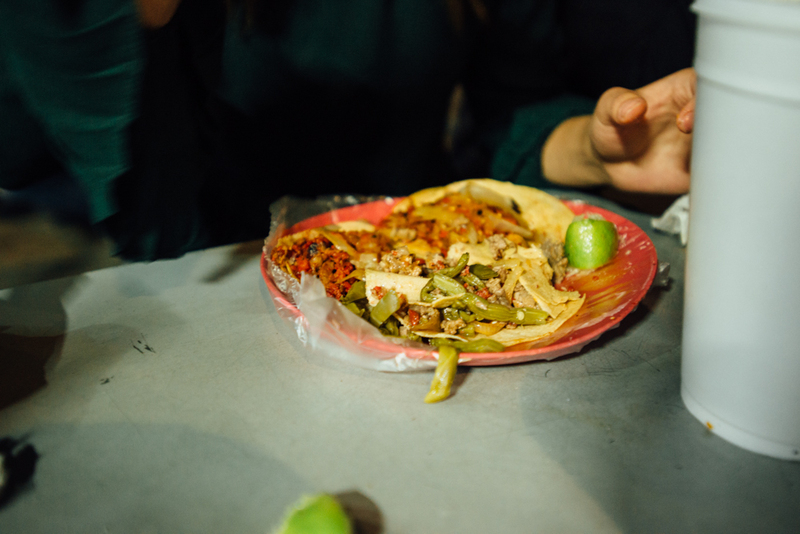 Part one features Taco Heads in the city's Cultural District. Check out the post and more photos on Pyknic's blog. Keep your eye out for part two, coming soon! 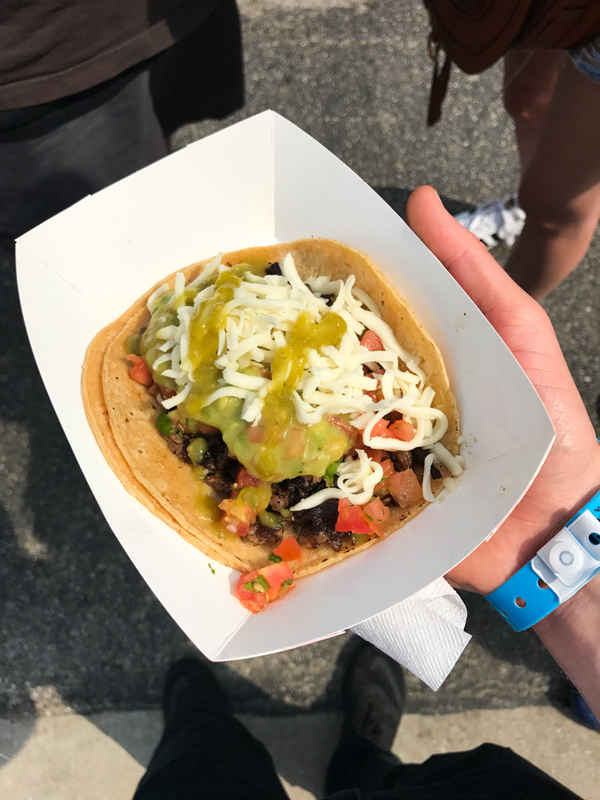 This past weekend I got to hang out at Taco Libre Dallas, a festival celebrating the beauty that is the taco. Represented at the event were 20 plus taquerias from the DFW and beyond. At the event my taco guides were Michael and Anthony. Michael, aka TacoTeur, is a world record taco eater, currently at 392 consecutive days eating nothing but tacos (that's 3,544 tacos at the time of this writing). Check out his Instagram for daily taco posts if you don't believe me. Ant (Ant Eats) is another taco lover in the area who I will forgive for eating his tacos with just meat (no salsa, no onion, no nothing) because he walked the entire festival with me trying tacos. There were a ton of amazing tacos to try, here's a quick rundown of what I ate (in the order that I ate them). At Resident Taquería I had their whole head barbacoa taco (check their Instagram for photos of the seasoned beef head they slow cooked). This was some seriously good barbacoa and a great way to start off the festival. The guajillo and green salsas had a great balance of heat and flavor that lent itself really well to the tender and juicy meat. At Maskaras I got the signature Maskara taco with seasoned beef, cheese, guacamole, pico de gallo, and salsa verde. Texas sized for sure, this was the biggest taco I had all day. It was a great second taco, the beef was tender and caramelized with a crispy edge, paired with unctuous avocado and spicy green salsa I could have eaten five more of these. I'm a sucker for a good octopus taco, but because octopus is challenging to prepare I'm pretty picky about where I'll order it. At Revolver Taco Lounge they know what they're doing. Topped with a heaping handful of fried leeks and the best salsa verde I had at the event, Revolver's taco de pulpo cannot be missed. Urban Taco was serving up some Michoacán style Carnitas de Cazo and Barbacoa de Borrego (goat barbacoa). They went old school and cooked the goat the traditional way by slow cooking the meat buried in the ground. The texture and flavor of the meat was as beautiful as the presentation. All the way from Shreveport, Louisiana Ki' Mexico was serving up some great tacos, but what had everyone talking was the Tofu Gringa. Ki's ancho and guajillo seasoned tofu with melted, savory queso oaxaca, jade salsa verde, onion and cilantro on a flour tortillas was absolutely killer. El Come Taco had probably the longest line out of any of the taquerias that I saw represented, and for good reason. By nature I'm skeptical of places that describe their tacos as authentic Mexico City style, but when I bit into El Come's alambre (beef with vegetables and cheese) I became a believer. 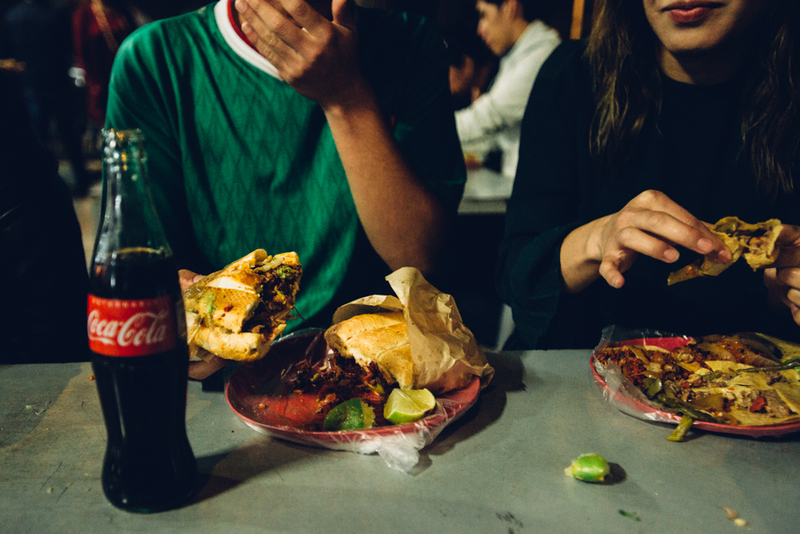 Maybe it was the sharp sizzle of the beef as it hit the grill, the rapid scrape of dueling spatulas in the taquero's hands, the crowd of people all around, the simple but demanding flavors, but for a second I almost forgot where I was. 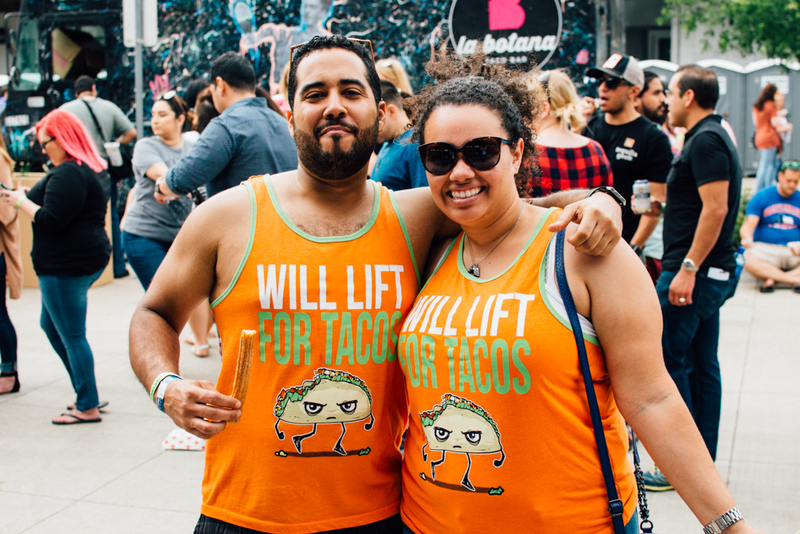 All in all, a fun festival with a truly great selection of tacos. If you missed the Dallas event, don't worry Taco Libre Austin is May 15. Cheers to José Ralat of Taco Trail for curating this event. Looking forward to next year! You guys remember Damián from the last post? Apart from being a phenomenal chef, he's also a brilliant leather craftsman. While in Mexico City he made me the best apron I've ever had. Damián hand crafts all kinds of leather goods, ranging from wallets and passport covers to aprons and totes. At the moment his work is only available in Mexico. See more from Damián on Instagram @damian.labarrere and his newly launched account labarrère for his handmade leather goods. "There are two men inside the artist, the poet and the craftsman. One is born a poet. One becomes a craftsman." This week I had the pleasure of working with Taco Gear founder and taco lover Gerald Flores in creating a taco for all you taco lovers out there! For those of you who don't know, Taco Gear is "a brand dedicated to tacos". So basically it's the best thing ever. I've been a fan of Gerald's taco shirts since I stumbled upon it on Instagram not too long ago and had a blast doing this shoot. Check out Gerald's blog Taco Talk for the recipe for Tacos Campechanos I put together for the Taco Gear crew as well as other cool taco related stuff! P.S. Huge thanks to Nicole and Katie for being my hand models for this shoot! The melting pot is an image that conjures up the ideals of American culture, of the United States as the place where people come from many nations, journeying across oceans and crossing borders to become a new kind of person: the American. You come from distant lands, leaving behind all you once were, your old ways of thinking, your old ways of eating, your oppression, your lack of opportunity, and you are given a fresh start, the much sought after “clean slate”, and the ability to make of yourself whatever you want. The idea is romantic and poetic, but isn’t representative of the immigrant experience. It was the French-American author Michel Guillaume Jean de Crèvecoeur who most famously and deeply propagated the idea of the United States as the world’s melting pot. Crèvecoeur was a fairly well-to-do man who was born and died in France, served in the French military, and eventually obtained American citizenship in New York where he lived for some years as a farmer. Two years after leaving America he published a book in London entitled Letters from an American Farmer under the American pseudonym John Hector St. John. In this book he asks the question "What is an American?" What then is the American, this new man? [...] He is an American, who, leaving behind him all his ancient prejudices and manners, receives new ones from the new mode of life he has embraced, the new government he obeys, and the new rank he holds. He becomes an American by being received in the broad lap of our Alma Mater. Here individuals of all races are melted into a new race of men, whose labours and posterity will one day cause great changes in the world. I find it interesting that this passage from an affluent French lieutenant turned farmer who never permanently lived in the United States has become the defining identity of the American ethos. Crèvecoeur’s ideas have prevailed into our modern times, but we’ve taken them a step further. The American melting pot is no longer the way things naturally occur in this country; it’s the way things must occur. It’s the new law of what is mistakenly called assimilation. When an immigrant comes to the United States, he is expected to speak our language, follow our trends, tend to our schedules, and try to be more like upper class American suburbia. We call it assimilation but in actuality it’s an unrealistic cultural expectation of extreme adaptation. Immigrants are expected to arrive in America as blank pages. If they cling to any strand or fiber of their roots that we don’t approve of they’re accused of not assimilating into American culture and of trying to overtake it with their own. Of course certain cultural traces and traits are acceptable, while others are not. Having an Italian accent is attractive; having a Mexican accent means you don’t speak English well. Wearing traditional African clothes is chic; wearing a hijab is threatening. If you’re from Sweden we assume you have great style; if you’re from Colombia we assume you’re a drug smuggler. The list goes on an on. But why shouldn’t we assume this? Isn’t that the way immigration works? It’s only fair. They’re coming to our country, setting foot on our turf. We’re Americans, why should we adjust to accommodate the outsiders? Because that is what an American does, and has done for most of our short history. When we talk about true assimilation, we see the preexisting culture take upon itself to incorporate the entrance of a new culture. Let me give you an example. The immigrant comes speaking Spanish and eating tacos. Americans find themselves saying "gracias" and add tortillas to their shopping lists. The immigrant comes speaking Farsi and frying falafel. Next thing we know, words like shawarma, kebab, and baklava don't seem foreign but delicious. Assimilation is about an addition, not a subtraction. The dominant culture is expected to adapt to the entrance of the foreign, not exterminate it. America, the burden of assimilation is not on the immigrant entering our borders, it's on us. Here’s the bottom line: assimilation isn’t something an immigrant can do on their own; it’s something that we have to do together. America isn’t a place where people come to lose themselves because Lady Liberty isn’t a lunch lady tossing everything from the fridge into the pot and calling it a nation. She is a chef, and a good one. She respects the origin and history of each ingredient and attempts to bring out its best flavors, accent its unique attributes, and celebrates them on the unique menu. America isn’t a melting pot it’s a dinner party where everybody brings their favorite dish to the table. If the immigrants bringing sushi and enchiladas and pho had merely melted into the existing American culture, we would never know about their rich culinary treasures. But they didn’t merely try to “fit in,” they shared their food and culture, rejoicing when we accepted, and remaining stubborn when we refused. We in turn did the same. We assimilated. Together. I'm going to end this post by contrasting Crèvecourer's words with those of Marcus Eli Ravage, a Romanian immigrant to the US. His book An American in the Making: The Life Story of an Immigrant present a very different and I believe more accurate look into the immigrant experience. Written one hundred years ago in 1917, his words are haunting and timely for 2017. When I hear all around me the foolish prattle about the new immigration –" the scum of Europe," as it is called— that is invading and making itself master of this country, I cannot help saying to myself that Americans have forgotten America. The native, I must conclude, has, by long familiarity with the rich blessings of his own land, grown forgetful of his high privileges and ceased to grasp the lofty message which America wafts across the seas to all the oppressed of mankind. What, I wonder, do they know of America, who know only America? [...] It is the free American who needs to be instructed by the benighted races in the uplifting word that America speaks to all the world. Only from the humble immigrant, it appears to me, can he learn just what America stands for in the family of nations. The alien must know this, for he alone seems ready to pay the heavy price for his share of America. He, unlike the older inhabitant, does not come into its inheritance by the accident of birth. Before he can become an American he must first be an immigrant [...] try to think of leave-taking –of farewells to home and kindred, in all likelihood never to be seen again; of last looks lingering affectionately on things and places; of ties broken and grown stronger in the breaking. Try to think of the deep upheaval of the human soul, pulled up by the roots from its ancient, precious soil, then slowly finding nourishment in the new soil, and once more thriving –not, indeed, as before— a novel, composite growth. If you can see this you may form some idea of the sadness and the glory of his adventure. Oh, if I could show you America as we of the oppressed peoples see it! If I could bring home to you even the smallest fraction of this sacrifice and this upheaval, the dreaming and the strife, the agony and the heartache, the endless disappointments, the yearning and the despair – all of which must be ours before we can make a home for our battered spirits in this land of yours.